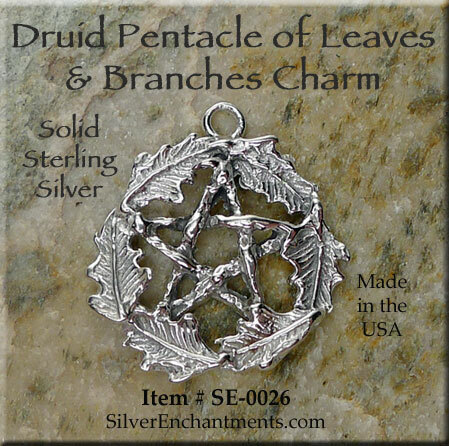 Surrounded by Leaves, this Sterling Silver Druidic Pentacle Pendant comes Alone or on your choice of 16-inch or 18-inch SS Necklace Chain. 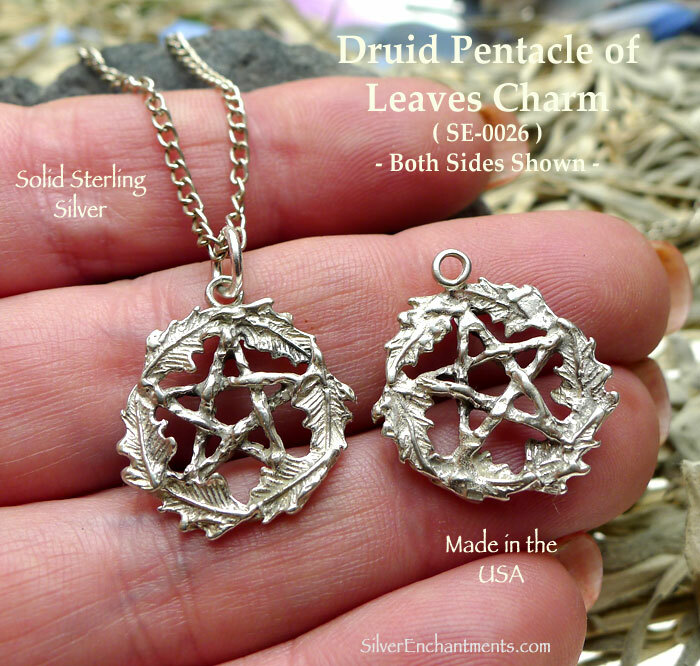 The pentacle measures approximately 3/4" across and is hand-cast by us here in the United States in Solid Sterling Silver via the Lost Wax Casting Process. > Choose from Pendant Only or on a 16" or 18" Solid Sterling Silver Necklace Chain -- Please see last picture for current chain style. 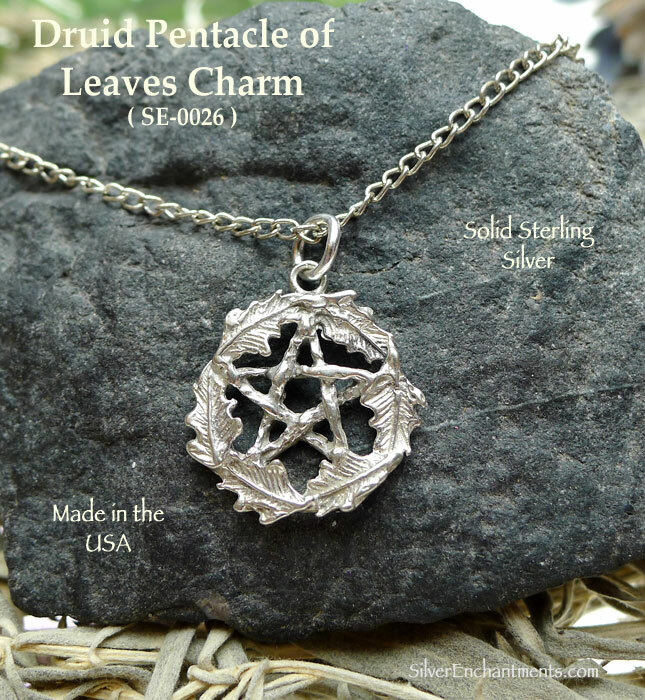 When selecting on a SS Chain, your Pentacle Necklace will come Boxed. Pentacle Symbolism - The Pentacle is simply a pentagram (star) with a circle around it. This symbolizes eternity, totality, and unity. It emphasizes the inter-connectivity of all of the elements. The direct and indirect relation of one element to the other. Chain and Pendant are made from Solid 92.5 Sterling Silver. Real Sterling NEVER contains nickel or lead. 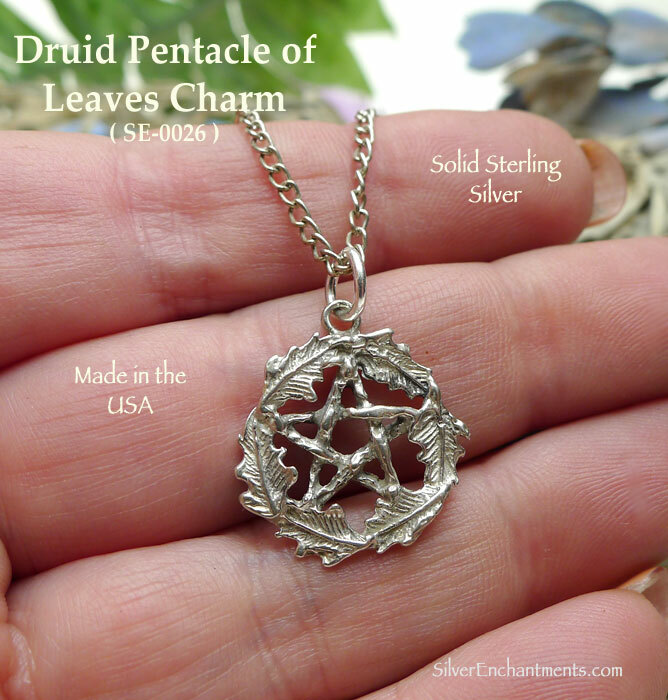 Our charms, pendants, earrings and findings listed in this shoppe are NOT silver plated or silver filled; they are NOT silver plated, or 'silver colored', 'antique silver' or sterling silver plated -- They're SOLID Sterling Silver (.925)! Please be careful out there! -- If you would like to see how Lost Wax Casting is done, please feel free to visit our Website, Facebook Page or YouTube Channel.